Indulge yourself at the leading luxury hotel in Agra, The Oberoi Amarvilas, and when you book your travel across WhataHotel! you can also enjoy Exclusive Complimentary Perks for an outstanding deal. This exquisite resort boasts glorious rooms and suites, terraced lawns with fountains and reflecting pools, and unsurpassed elegance. Travel to the intriguing land where architectural wonder and cultural charm are in abundance and where the glamorous The Oberoi Amarvilas welcomes you with impressive service and pristine accommodations. 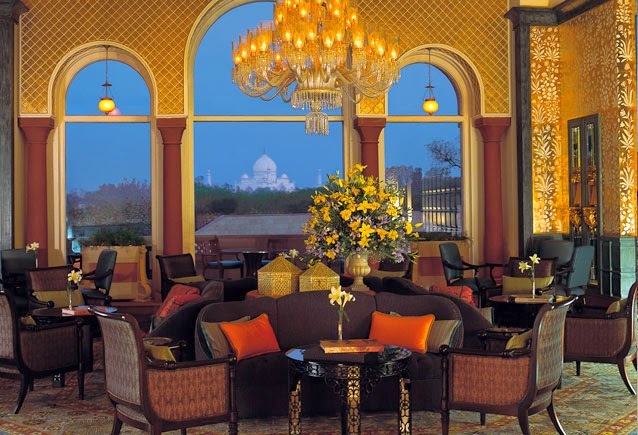 The Oberoi Amarvilas is located just 600 meters from India's beloved Taj Mahal. Lucky guests get to awake to private views of one of the world's greatest monuments or watch as the moonlight washes over this magical place. 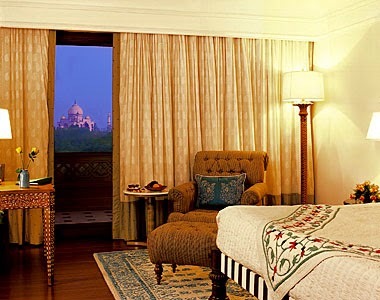 This favorite hotel offers guests breathtaking views of the Taj from every private room as well as public gathering spot. 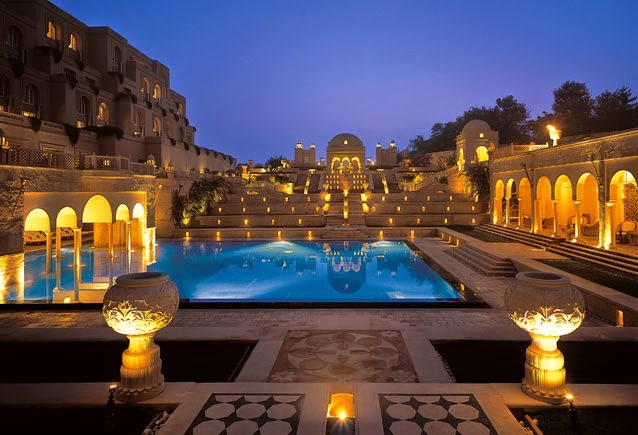 The resort itself is quite stunning, built with the Moorish and Mughal style as an inspiration. The grounds surrounding the hotel are absolute perfection showcasing inspired landscaping and pretty pavilions. Inside visitors can savor the rich and warm tones and gorgeously detailed interiors that seem completely majestic. 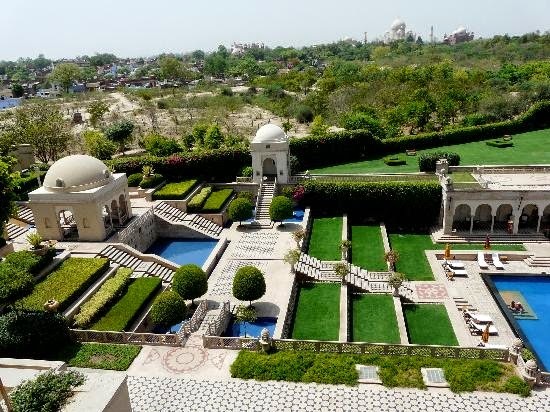 Amenities found at The Oberoi Amarvilas include an outstanding spa that presents therapies designed to rejuvenate, a well-equipped fitness center and a fairytale swimming pool that looks to have stepped right out of a story of the Arabian nights. There are awe-inspiring meeting and event venues, a bar and lounge for relaxing and two restaurants that offer up both international cuisine and the authentic flavors of India. Of course a tour around town is a must in such an iconic city, so allow the ever helpful and knowledgeable staff to assist you with any travel plans or excursions to ensure a fabulous outing. The The Oberoi Amarvilas is an alluring property that will tempt guests with loads of luxury and glamour. When booking your travel to The Oberoi Amarvilas across WhataHotel!, guests will receive Exclusive Complimentary Perks for an amazing deal. These perks include available upgrade at check-in, a full American breakfast for two, one lunch for two excluding alcohol and taxes and fresh fruit and flowers daily. Travel to a land filled with mystery and grace and stay at a place that exudes all of the charm of the surrounding city. Agra and The Oberoi Amarvilas await your arrival and ready themselves to take you on a journey of truly epic proportions.